Former Arista recording artist and Clive Davis protégé Janey Street is a gritty and soulful singer with a captivating voice who mines an eclectic gamut of rockin’ blues and bluesy-jazz. Janey Street, who was born and raised in New York City, has achieved much success as both a singer and a songwriter. As an artist, she’s recorded albums for Warner Brothers/Reprise, Capitol Records and Arista Records (under the guidance of legendary music mogul Clive Davis). Her single "Under the Clock" was a top 20 AC hit, and its accompanying music video received frequent airplay on VH-1, bringing a whole new audience to Janey. Her single "Say Hello To Ronnie" was also a Billboard charter, making the pop charts. Street has also spent many years on the road opening for major acts like the Bee Gees, Melanie, Richie Havens, John Hammond JR, Livingston Taylor, Janis Ian, Odetta and many more. Street’s life has been filled with TV dates and live performances in venues ranging from 20,000 seats to small clubs throughout the US and Canada. Focusing on songwriting for the past several years, Janey’s songs have been recorded by various artists including famous blues singer Ruth Brown (on the GRAMMY-nominated CD A Good Day For The Blues, Janis Ian (a track Street produced and co-wrote with Ian), Eric Anderson, Dutch artist Judith, Japanese artist Maria and others. Two of Street’s songs will be featured in the upcoming motion picture "Food Fight", an animated movie starring Charlie Sheen, Hilary Duff, and Eva Longoria . These songs will also appear on the film’s CD soundtrack. Janey’s music has also been featured in the TV shows "The Young & The Restless", "One Life to Live", "Rock & Roll Evening News", "Street Shadows" and the films "Promised Land" (performed by James Newton Howard) and "White Winter Heat". Janey moved to Hermosa Beach, CA in the 1980s and has since relocated to Nashville. 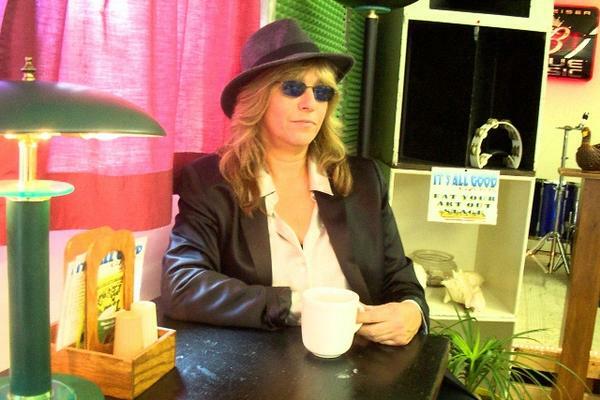 Recently Janey released a blues album called The Street Less Traveled. Janey has lectured on the music business, songwriting and production at U.C.L.A in Los Angeles and Belmont University in Nashville. While living in L.A., she also conducted a popular weekly songwriting workshop at Guitar Center. A believer in sharing knowledge, Janey still holds in-depth one-on-one and group songwriting workshops. The workshops address song structure, lyric content, accessibility, publishing, production, writing and pitching for Country, Pop, Film and TV, and more.